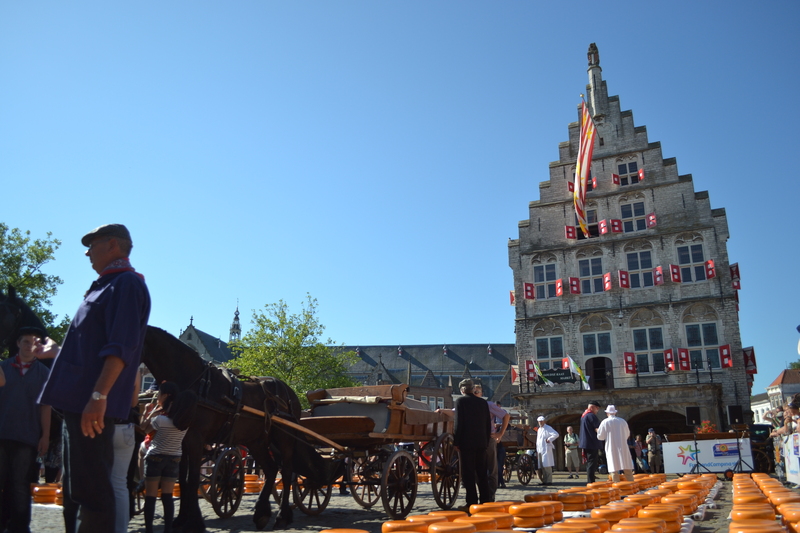 During July and August, each Thursday there is a cheese market in Gouda. A Dutch Australian friend and I took our children for an outing on the 1st August 2013 and we all really enjoyed it. While there, I was interviewed by de Krant van Gouda on whether there should be a new hotel or camping in Gouda and what we’d be doing to take advantage of the nice weather. You can watch the episode of “Gouda Spreekt” here. Good practice for my Nederlands! We also explored inside the city hall which was beautiful. It also gave us a great view down into the market. To check out all of the 100 photos I took, visit the Dutch Australian Gouda Facebook Photo Album. Highly recommend a visit if you have the opportunity!